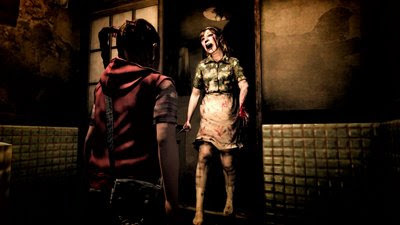 Is there a correlation between video game use and nightmares? Pfft, bloody hell no! According to a German study of 250 students aged nine to 13, no correlation was found between the amount of TV watching and game playing. They did however find a link between reading and nightmares, but Michael Schredl, head researcher for the study, cautioned that the sample size was too small to make definitive conclusions. Says Schredl: "It might make sense that not only the pictures themselves are of importance, but what children fantasize during the day. They might be more stimulated by reading than by watching TV." Good thing this survey was conducted before the PS3 remake Siren: Blood Curse was released. I've been playing the game since Friday, and I swear that I'm going to have nightmares for weeks. Let's hope I don't, for Michael's sake. I certainly wouldn't want to prove him wrong.